Today I'm wearing this California Republic tee and majorly obsessing over it. I also have the necklace on. It's from Target, check your local store. While I haven't thrown on a pair of boots and jacket just yet - because it's still 100 degrees in SoCal! - this is totally how I'm going to style the T-shirt into fall. If you're feeling a little California Love, pick up this Rebel Yell California Bear Cut-Off Tank! 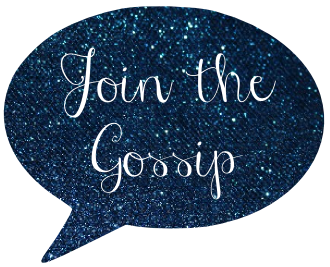 Be sure to stop by Monday for Monday Morning Gossip. Remember, all topics are accepted so everyone can link up! That top is too cute!! Very cute. And wishing it was 100 degrees here...yesterday was TOTALLY boot weather. Crazy. I love that tank! great outfit and I totally understand its like 90 here too! Have a happy Friday and be sure to check out my blog! . That bag! Oh that bag!!! Great top! Loved it on your IG page! I saw your picture on IG of that tee and I love it! You're so cute! Love the boots and the jacket too!! Such a cute outfit! Great outfit. Perfect for Fall. Love the shirt! I've been seeing military inspired jackets everywhere lately. I might have to get one! How cute is that tee - I love Target finds! Not loving our heat wave, I want to wear fall clothes now, lol!! Love the outfit!!! I need that jacket!! Have a great weekend. loved this shirt from your instagram picture! WOW SO cute pics in here:) your blog Is fab and Im now following.